You may have noticed I’ve been getting a lot of gear from Tenkara-Ya lately. 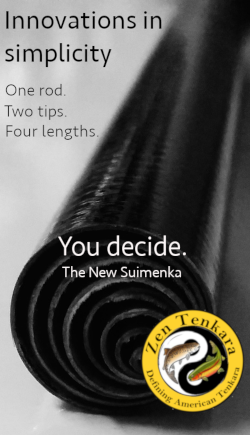 It’s become my favorite tenkara gear site for a several reasons. For one, they carry some really unique gear that you can’t find anywhere else and are always adding new products. 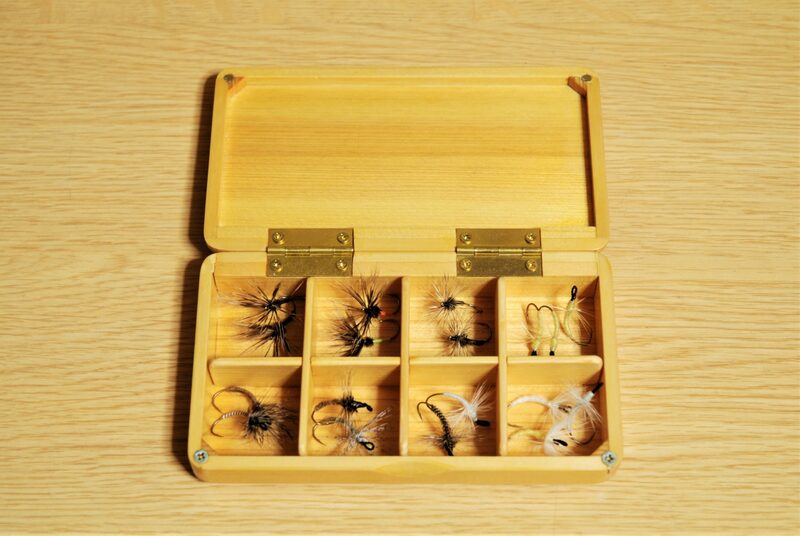 I make it a point to check the site regularly just to see what new flies, fly boxes, or lines they’ve added. They’re also Western friendly. Unlike many Japanese sites, Tenkara-Ya is in English, prices are in USD, and shipping is amazingly fast to the U.S. and Europe. But the thing I like best is the owner, Keiichi Okushi. 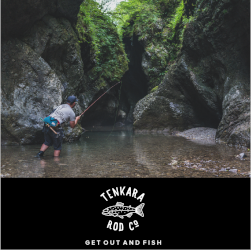 How did you get started in selling tenkara gear and what is the story behind opening Tenkara-ya? It was about 7 years ago, as social media became very popular, I started Facebook and got some foreign friends around those days I thought western tenkara fishers’ knowledge about tenkara was just in a beginning stage. 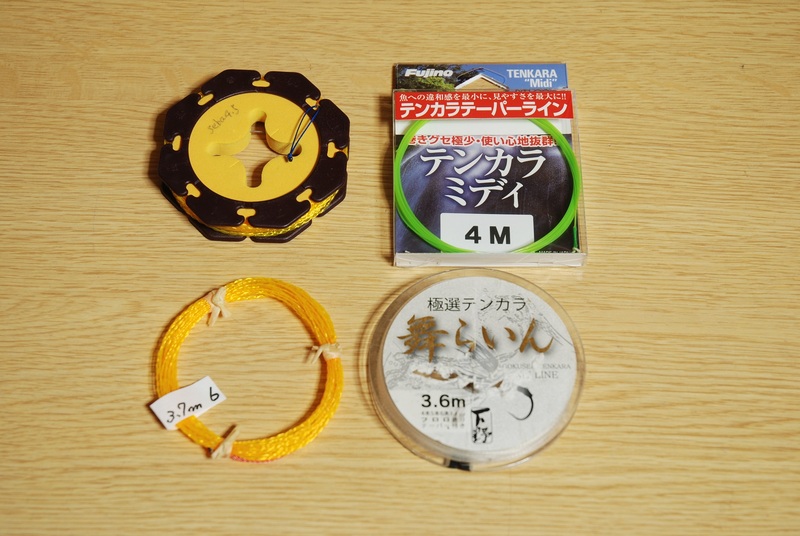 Concerning tenkara fishing tackle, there wasn’t much good Japanese tenkara tackle introduced, and some of the Japanese tackle was very expensive. Talking with some foreign friends of mine, I decided to open a shop that sells Japanese tenkara fishing tackle for foreign tenkara anglers. 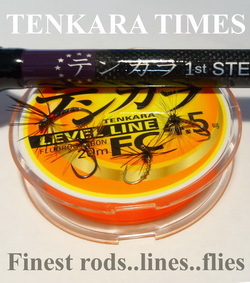 Some of my foreign tenkara friends helped me a lot at that time in selecting products and also advertising. I really appreciated them for the great help and kind assistance. As an international tenkara gear seller, what trends do you notice in the industry right now? For example, which type of rod action (and lengths) are most people buying and for what situations? Are anglers in Japan buying different rods and gear compared to American or European anglers? Since I have operated the shop, level line has been very popular among western tenkara fishers. And more flexible rods like 6:4 action (we call them dochoshi) are very popular. I think it is because of Dr. Ishigaki’s promotion. There are many level line tenkara fishers here in Japan too. I think level line tenkara fishing is not bad. Level line systems between western tenkara fishers and Japanese tenkara fishers are basically same, but I feel Japanese tenkara fishers tend to use smaller diameter level lines than western anglers. 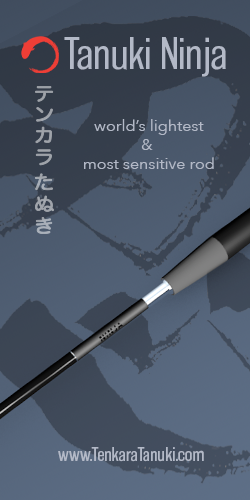 Some of them use hae rods (more sensitive, lighter rods) for tenkara fishing with 2.0-2.5 Go level lines. Who are some of the more well-known Japanese tenkara anglers you’ve fished with and what are some things you learned from them? It would have to be Mr. Yuzo Sebata (Sebata-san). I think most foreign tenkara fishers know Sebata-san now. He is the most well-known genryu (head stream) fisher and one of most important tenkara masters in Japan who established a particular method of tenkara fishing in Japan. His tenkara fishing is the style from old days, shokuryoshi (professional mountain stream fishers). He uses a long 4.5m rod and sets his original furled tapered line of 5.5 to 7.5m long + about 1.0m of tippet. His lines are much heavier than level lines. Old fashioned? Maybe, but it is the best line system he has developed during his long genryu fishing history. This long rod and heavy line system works well in genryu areas. I like to use 7:３action 3.6m rods + 4.0 to 4.5m furled taper lines. My tackle system is not heavy like Sebata-san’s, but base is quite similar. I do not think I learned tenkara fishing from any famous tenkara masters, but I learned so many things about genryu fishing and genryu life from Sebata-san. What was one of your favorite stories about fishing with them? I sometimes do tenkara fishing using a traditional bamboo tenkara rod. It is real old-fashioned fishing. One day, I talked about that when I was visiting Sebata-san. 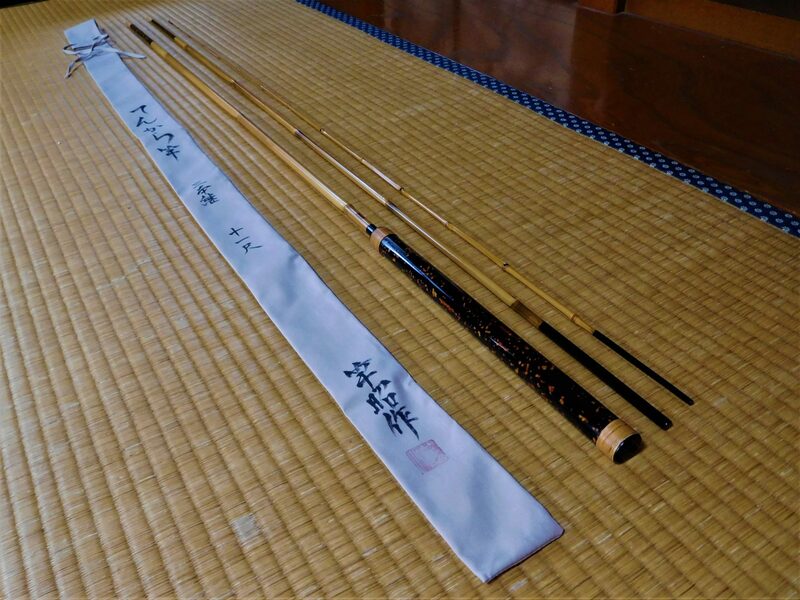 Then Sebata-san told that he also has a couple of traditional bamboo tenkara rods. I suggested we go on a genryu fishing trip with those bamboo rods. Sebata-san said yes and that it was a good idea. It was September in 2016. 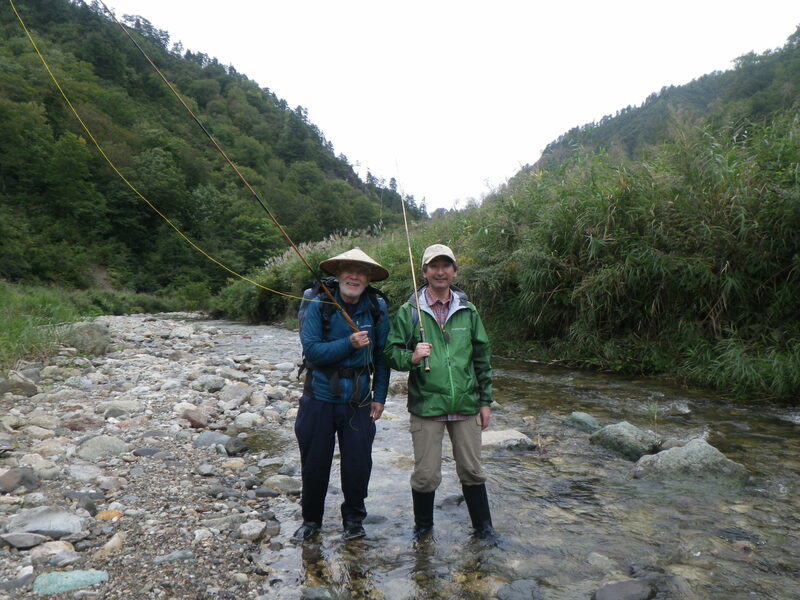 Sebata-san and I called some other friends and went genryu fishing with the bamboo tenkara rods. The fishing was quite tough but we all caught some yamame and iwana. We stayed overnight by the stream and had a nice dinner and drank. We talked a lot and enjoyed the night. 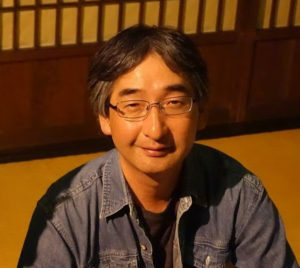 As it does with everyone, Sebata-san got older. Now, he doesn’t do overnight genryu trips anymore. That genryu trip was the last one Sebata-san and I ever did. What rod do you typically fish with? I now use a traditional bamboo tenkara rod that is 3.10m long and 3 pieces with a traditional horse tail hair furled taper line called basu. Line length is 3.6m + 1 – 1.5m of tippet. I’ve used some Daiwa tenkara rods like the Ensho. I basically like Daiwa rods very much. 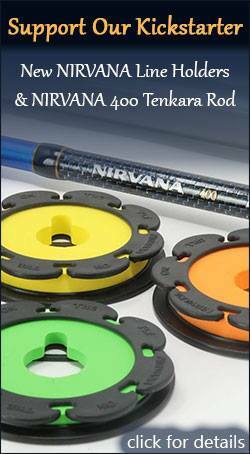 Now I mainly use the Nissin Zerosum Tenkara 360 (7:3) with a 4.0 – 4.5m furled taper line + 1.0 -1.5m of tippet. And line? You sell the Sebata lines. Do you fish with those or do you prefer a different line? Or, do you use different lines for different situations? I fish Sebata lines of course. It is a great line. The lines are heavy and strong against the wind, yet still controllable. But for me, Sebata-lines are more like treasures or memorial items. Also, when I use shorter rods, I use some lighter furled lines or Fujino tapered lines. What is your favorite fly and how do you present it? I like traditional style tenkara fishing. 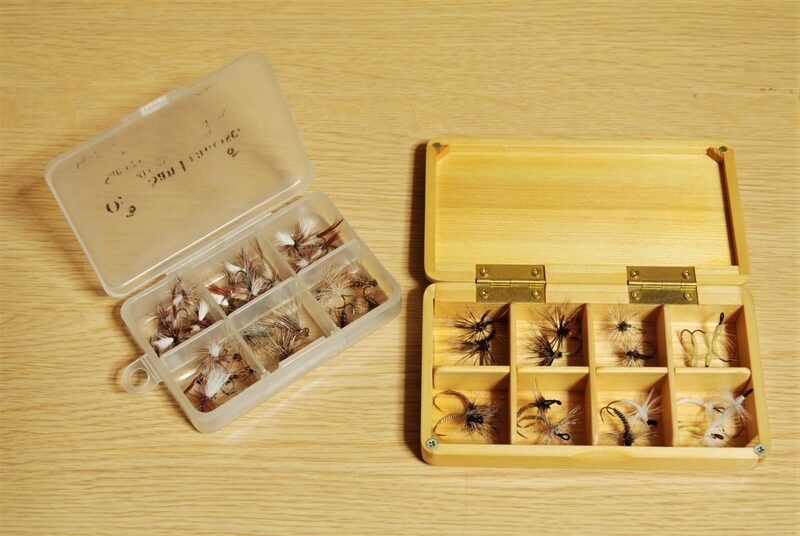 So I love traditional tenkara kebari like Mr. Fujioka’s collections which he collected from all over Japan. I like Sebata-san’s kebari, Hirata-san’s kebari etc., and I use those traditional or traditional looking kebari when I use the traditional bamboo tenkara rod. On the other hand, I really like dry type kebari especially in genryu areas. I like dry kebari fishing because I can watch the fish attacking and biting the fly on the surface. It is very exciting. So I often use dry flies for my genryu fishing. I know it is not genuine Japanese Tenkara fishing but as Mr. Keigu Horie said it, I like “dry tenkara” too. You’re on Facebook so you see how American anglers have adapted tenkara to fishing conditions here. In many cases, we’ve experimented with techniques and fly designs that are much different than in Japan. Some people say we’re not doing “real” tenkara. 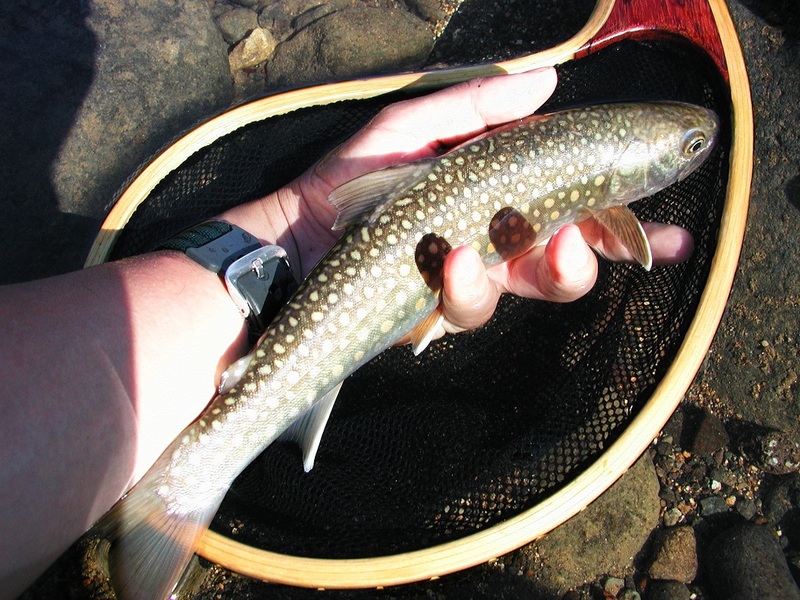 What do you think about how American anglers have adapted tenkara? Do you think what we do here would work in Japan? Everything changes in time. Especially when one thing is exported worldwide, it should be adapted by the people living in different situations. Anybody can say it is right or not, but no one can stop things from changing. I think foreign anglers can change tenkara fishing any way they want. But I’d like those people to also know what the original tenkara fishing in Japan is like. 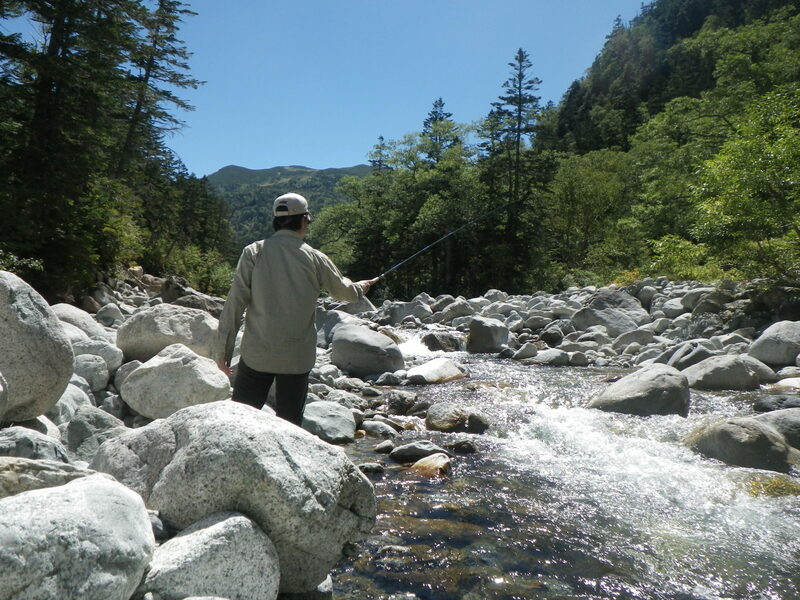 Original tenkara fishing in Japan is the fishing using a fishing rod, line and kebari only to catch yamame or iwana (Japanese trout) in mountain streams. Tenkara Fishing used to be called “kebari fishing” in many areas in Japan. The reason is very simple. “Kebari fishing” means fishing using kebari. We still now say “kebari fishing” for many other fish like ayu, hae, haya etc. So I think “kebari fishing” is a good word for western angler’s tenkara fishing for different methods for catching different species of fish. If you could travel back in time and meet an ancient tenkara fishermen and show them our modern tackle and techniques, what do you think they would think? It is a very difficult question. I really can not imagine what they would think about modern fishing tackle. I guess they may say that they do not need modern fishing tackle because it is such a easy thing to catch fish even they do not use such high tech and expensive fishing tackle. Maybe they do not want to use tackle which they can not repair themselves with things around them. If you could send one message to American tenkara anglers, what would it be? Firstly, I would like to say thank you very much for having interest in Japanese fishing culture and taking up tenkara to everyone all over the world. Tenkara fishing was invented by shokuryoshi (professional mountain stream fishers) for catching yamame or iwana. The method of tenkara fishing had been like hidden techniques they only teach to a very limited number of people and was taken up by very few mountain people. Nowadays we can enjoy tenkara fishing as sport fishing. 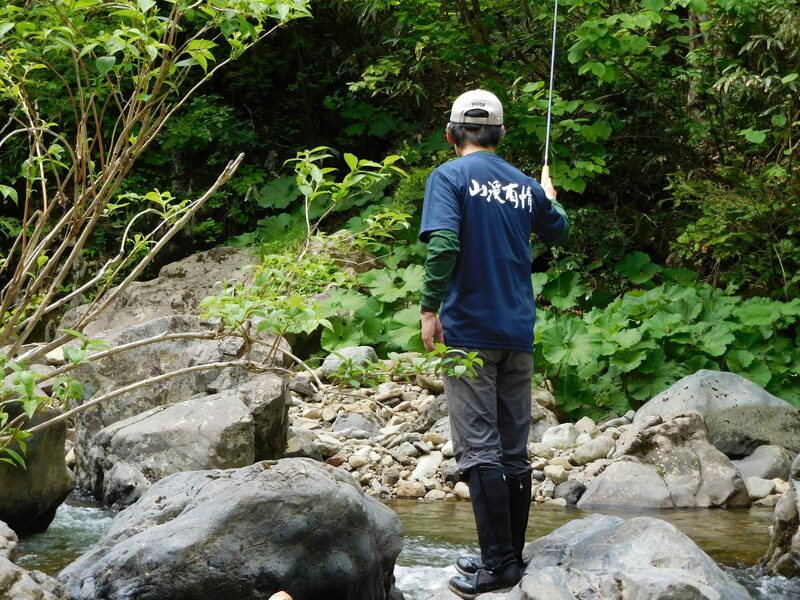 It was because of some keen mountain stream anglers’ (like Sebata-san) efforts. They studied and introduced those hidden fishing methods to ordinary anglers. Tenkara fishing is the method of fishing which has been practiced and improved in mountain streams. 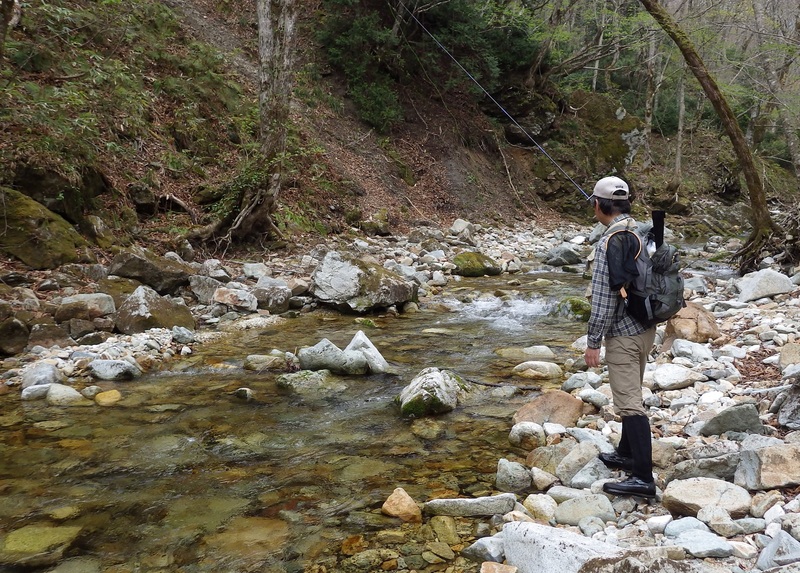 When we do tenkara fishing, it is not only about enjoying fishing. We also enjoy walking mountain streams of gin clear water and watching breathtaking sceneries of forests or mountains, maybe to feel the changing of the seasons. I would like all the tenkara fishers to enjoy those things in the same way in each country and keep our rivers, forests, mountains, and all of nature clean and beautiful. If you’re looking for some unique and authentic tenkara gear hand selected by Keiichi-san, make sure you visit his website Tenkara-Ya. Great interview. This year will be my first year ordering from Tenkaraya. Looking forward to quality gear and service. Thank you Okushi-sama, for your efforts! 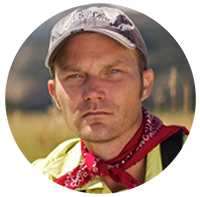 Thank you so much for conducting and sharing this interview Jason, it is greatly appreciated. A most encouraging expression for me.